Machinists know that Stub Drills are extremely versatile tools which can be used with different types of piecework materials like iron, steel, aluminum, and plastics. Stub Drills with Carbide content can be utilized to perform reaming and spot drilling with the drill edges lasting from triple to five times as long as non-carbide drills. The carbide content in Online Carbide’s tools makes the difference between their tools and their competitor’s tool products. There are quite a few tool sellers on the internet, but the problem is determining whether or not they manufacture the tools they are selling or are they selling offshore products. Many tool companies put their own name on products they purchase from Chinese or Indian manufacturers in an effort to generate additional profit. Online Carbide doesn’t do that. They manufacture their Stub Drills and all their other products in the USA. But they don’t sell their tools at high, name brand prices. They sell Factory Direct to their customers saving money and saving time too. Customer orders over $250 also ship for free so the savings get even greater. The time it takes to find a high quality resource with good prices can be hard to manager. Searching the internet or driving around to local tool distributors and retailers can yield poor results. That’s why Online Carbide makes it easy to purchase the tools you need. Factory Direct prices means the absolute lowest cost. The prices for Online Carbide’s tools are amazingly competitive. When customers consider Online Carbide puts 10% Cobalt Micrograin in their raw steel stock making their tools much more resistant to wear and degradation, they realize they are buying a top-shelf machine tool at a highly-discounted price. The Fractional Stub Drills come in sizes from 1/16th inch to 3/4 inch in 1/64th inch increments with 135° points and 15° RHH with Length of Cut running from 1-5/8th inch on the smaller diameter tools to 3-1/8th inch on the larger diameter tools. The Letter Stub Drills come in sizes from 1/16th inch to 3/4 inch in 1/64th inch increments with 135° points and 15° RHH with Length of Cut running from 1-5/16th inch on the smaller diameter tools to 1-15/16th inch on the larger diameter tools. The Wire Size Stub Drills come in sizes from .52 (.0635) in diameter to .10 (.2280) in diameter with 135° points and 15° RHH with Length of Cut running from 11/16th inch on the smaller diameter tools to 1-5/16th inch on the larger diameter tools. The Metric Stub Drills come in sizes from 2mm to 12.5mm in diameter with 135° points and 15° RHH with Length of Cut running from 19mm on the smaller diameter tools to 56mm on the larger diameter tools. The folks at Online Carbide know low prices alone aren’t enough to take care of customers; it also takes great customer support. The customer support is second-to-none and it’s easy to contact the company if a customer has a question or needs further information about the tools. Customers can send an email to sales@onlinecarbide.com or they can call 630-238-1424 between 8am and 5pm Central Standard Time Monday through Friday. One of the most important possessions any worker has is their tool box, and if you’re going to be working a milling job, you’ll need good quality end mills. Shopping for mills online is one of the smartest decisions you can make when building up a tool box, but there are a few considerations you need to keep in mind when you find end mills for sale. After all, it’s not just important to have many tools in your toolbox but to have high quality tools as well. The first consideration you should always have in mind is the type of the job. Depending on what material you’ll be milling, you might have different options at your fingertips. Always be sure to plan for the unexpected. While there’s a reasonable range of materials to expect onsite at any particular job, don’t assume that you’ll only end up milling one material. The type of material you’ll be working with can not only have an effect on the material that the end mills you’re looking for is made of but also on the design. The fluting, for example, varies greatly in effectiveness depending on what material is being milled. Be sure to take the time to consider both of these factors when planning the job and looking at end mills for sale. The next factor you’ll want to consider is how the end mills you’re looking at work with the milling machine you’ll be using. While many end mills are designed to work with multiple machines, there’s no doubt that some end mills work better with certain machines. Just take the time to do a little extra research before you buy, and you’ll end up with a much more satisfactory purchase. The third consideration to keep in mind is the scope of your purchase. If you’re looking for a set of end mills that will last you a long time, you’ll want to look at the (generally) pricier models that contain higher grades of steel and stronger alloys. Not all jobs require the highest-grade alloys, though! While quality is always good, if you’re planning for a quick and simple job, don’t overspend! Be sure to realistically assess the scope of use you’ll have for your end mills; buying an expensive mill you’ll not use very much can be as frustrating as buying a cheap mill that wears out because you use it too much. Once you’ve thought about each of these factors, you’re likely ready to make a purchase. 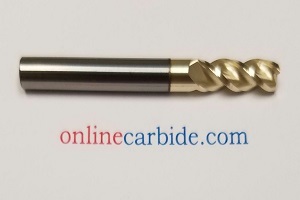 We recommend checking out Online Carbide. Their simple, straightforward website makes choosing the right end mill an easy process. They have a huge selection of end mills for sale on their site, and their staff is experienced, knowledgeable, and professional. Don’t just take it from us, though! Go check out their site for yourself and see just how easy it can be to get the end mills you need without any of the extra nonsense. 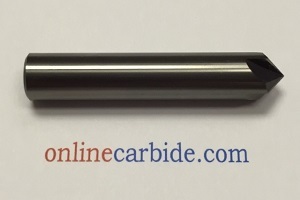 Online Carbide is the business for you if you like buying tools without all the smokescreens! America is a nation of possibility, where every day, hard-working people put in an honest day’s work and return home to their families. For many of these people, work is grinding every day, difficult, challenging and often requires exceptional strength to keep everything moving and operating properly. In carbide drilling, you want parts that are as tough as you are. You want rugged and tested drill bits and stub drills to get the job done right the first time and leave you with the sense of security that you can cross it off your to-do list for good. At Online Carbide, we’re an American company for the American people. What does that mean? It means that we want to provide the best for you because you deserve the best. We want to provide you with tremendous value. We want to give you the quality you deserve in a price that is set by the manufacturer, not a distributor. And we offer a large range of products to do that. Our stub drills come in various sizes and styles to tackle any job. Our fractional stub drills range from 1/16” to 3/4". Fractional stub drill bits are applicably named because they come in fractional increments. Our letter stub drills range from Size A (.2340) to Z (.4130). These are very common twist drill bits with the sizes ranging from smallest to largest – A is the smallest bit we offer. Our wire size stub drills range from 52 (.0635) to 1 (.2280). Our metric stub drills range from 2.0MM to 12.5MM. These drill bits are measured in standard metric lengths with 2.0MM being the smallest. Whatever the job is, large or small, simple and easy, or challenging and tough, we have the parts you need. All of the drill bits sold by Online Carbide are made in the USA and we take pride in making sure that the quality we offer is second-to-none. We are always expanding our range and product catalog. We want to go above and beyond for you. If you have any questions about our products or our website, feel free to contact us. We are available by phone from 8 a.m. to 5 p.m. CST and by email at sales@onlinecarbide.com. Order online with us today. We accept all major credit cards and PayPal. Many of our items ship on the same day so you can get them as soon as possible. We will contact you regarding shipping and delivery information after you place your order. Contact us with any question about the items we have in stock. Everyone wants to get the right product with the most value. We care about providing that experience for you. You work hard and expect the best in your shopping experience. Let Online Carbide be your source for all of your carbide cutting tool needs, with superior quality, customer service, and efficient costs. That is the American way, and we strive to be just a small part of that, making life better for our fellow Americans. If you’re gearing up for a new job or simply looking to upgrade your existing toolbox, you’re likely to need to find a chamfer end mill at some point in the process. Finding good quality pieces for any tool online isn’t always as easy as it should be, which means that finding a mill end one you can rely on boils down to having a supplier you can trust. Thankfully, there are a few key steps you can take that will ensure you get set up with the right online shop. Keep reading to see what we mean! These days, finding a store isn’t the challenge so much as finding the right store. The first step you should always take is to utilize the shopping tools provided by all major search engines. These tools will filter out unnecessary search results that aren’t related to getting you good prices on quality equipment. Once you’ve located a few vendors online, check out their inventory. If they’re only offering discount pieces, they’re probably not the type of store you’re looking for. A good quality chamfer end mill is going to come from a store that stocks multiple quality products, not a bargain-bin only outlet. The one universal fact of shopping for tools online is that you’ll always find more stores than you could ever browse in full. For this reason, make yourself a shortlist and then inspect each of those to decide which one is the best for you. Don’t waste time browsing every last site you encounter; look for promising sites, then compare them to one another. The last step in the process is to go through your shortlist carefully, looking for sites that offer chamfer end mills of quality with shipping, customer service, and product protection policies that are all solid. The best product in the world isn’t all that great if there’s no customer service to help you get the most out of it. Likewise, the best prices aren’t really the best if you have to pay incredibly high shipping to get the item to your worksite. In the end, following these three steps is sure to help you find a good site. If you’re looking for a good place to start, check out Online Carbide. They’re a simple, straightforward site for tradespeople to find high quality, cutting edge equipment, tools, and parts for reasonable prices. Instead of expensive bells and whistles, Online Carbide focuses on delivering durable parts that help you get the job done right the first time. There’s an old saying that goes “work smarter, not harder.” We all work hard, and our efforts should never go to waste with expensive, sub-par tools. Get the tools you need, on your schedule, for a price that won’t leave your wallet hurting. Remember: quality tools make for safe, quick, and well-done projects! Tools, tools, tools, seems to be the cry of every machine shop and machinist every day. Anyone working in a shop with drills, lathes, or other equipment using Chamfer Mills knows how vital this tool truly is to work with on a daily basis. Mostly because the mills can be used for so many machine operations. At Online Carbide, we hear our customers and we strive to provide them with the highest quality machine tools in America. Because it can accomplish so much with one tool, Chamfer Mills can be used not only to reduce costs by eliminating unnecessary machine tools, but it can also save time because machine operators don’t have to remove and insert new tools to get jobs done. The quality of the mill becomes extremely important in high-production environments. Machine operators will tell you quality tools last longer, do a better job, and require less maintenance time than lower quality products. Online Carbide makes their tools in the USA using only the highest quality raw materials to produce the finest quality equipment. We use 10% Cobalt Micrograin materials in our CNC production process which produces the best and longest lasting cutting edges. Whether the tool is going into a CNC machine, drill press, end drill, mill, lathe or any other machine, it is imperative the materials going into the tool are of the highest quality so they may last longer while doing the job. Chamfering to remove sharp edges or excess material not only makes the end product look and perform better, it is a sign of the effort put into making their mills. Excessive tool consumption is an indicator of the quality of the materials going in and Online Carbide is known for its quality and longevity in use. At Online Carbide, we know every shop has a budget to run on and costs to keep under control. We help every customer accomplish this important task by getting rid of the middleman and selling direct to our customers. No more tool distributor markups. Our customers buy direct from the factory and save even more money. The combination of savings from purchasing direct and the value of tools which last longer and perform better is pretty hard to beat. 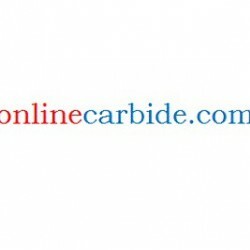 Our online store, at www.onlinecarbide.com has all the information, details, specifications, and costs so you can make your choice quickly and efficiently, saving even more time and money. If you need even more customer support, you can call or click and we’ll take care of whatever you need. It is that easy. With Online Carbide, you can have confidence in your decision to purchase and in the quality of the products you’ll receive. You can have products made and engineered in the USA at the same cost as the low-cost, low-quality offshore imports. Cemented Tungsten Carbide is a composite material manufactured by a process called powder metallurgy. Tungsten carbide powder is mixed with cobalt, compacted in a die and then sintered in a furnace. Carbide allows the cutting tool to perform for longer periods of time reducing sharpening or replacement time. Online Carbide uses only premium carbide to insure the best performance for their customers. They grind on the latest CNC grinders to create the best cutting edges and finish characteristics on all their carbide tooling. Their Spot Drills last longer and do a better job with a smoother surface left on the processed metals. Production lines can run longer without interruption using Online Carbide Spot Drills and that saves a lot of time and money. By manufacturing their own products and selling them factory-direct, Online Carbide insures their customers get the best tools at the best prices. Eliminating the distributor or retailer allows customers to purchase their machine tools at great prices. 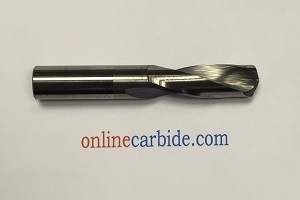 When it is time to replenish tool stock, go online to www.onlinecarbide.com and take a look at the excellent products and fantastic prices for the best carbide tools on the market. By making their tools to a higher standard and with better manufacturing methods, Online Carbide helps their customers keep cutting tool costs down and productivity up. Wasting time changing or sharpening tools is reduced with Online Carbide tools and that’s something every production manager, shop foreman, or company bookkeeper can appreciate. Spot Drills are a pretty common tool in a machine shop or production cycle. They get used for making small indentations in metal and plastic surfaces as a part of a production process. Despite being a relatively simple machine operation to conduct, accuracy of dept, cleanliness of cut and smoothness of surfaces is still very important. Consistent cuts which are made to exacting specifications can be easy or difficult and Online Carbide makes sure everything works on the “easy” side of the process. With Online Carbide’s Spot Drills engineering, tool users and machine operators know they will have the longevity they need to be productive all day long. The better-made a tool is, the longer and more productive a working life it will have and that makes the tool a much better value. Factory-direct prices make that value even greater. Online Carbide manufactures their tools to exacting standards so that their customers know they’re getting the best deal out there. Take a look at all of Online Carbide’s tools and you’ll be impressed with the selection and the value each tool creates for their customers. If you have any questions or concerns, you can contact Online Carbide by calling 630-238-1424 or sending an email to sales@onlinecarbide.com. Online Carbide has staff standing by between 8 a.m. and 5 p.m. CST to provide the best and highest quality customer service so all of your needs are met. With many items available to ship same day, you can also get the products you need quickly so you can handle whatever job is in front of you. 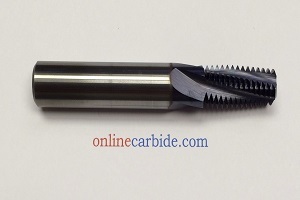 The mission of Online Carbide is to provide the best value in carbide cutting tools from thread mills to end mills and drills. With a selection of products that keeps expanding, you are sure to find the products you need at the best price for you. Online Carbide aims to provide you with the best value and best options for all of your needs when it comes to carbide cutting tools. While many carbide manufacturers are expensive, low-quality, or take too long to ship, Online Carbide has numerous high-quality, cost efficient options available at direct pricing. All of our products are made in the USA with premium 10% cobalt micrograin material on CNC grinders. Our inventory is constantly expanding, and most of our items are available to ship the same day you place your order. Some of our online inventory includes standard end mills, full form thread mills, drill mills, center drills, and much more. We aim to keep all of our consumers happy with our high-quality, low-cost products and are always available to help with any questions or concerns. Many consumers have difficulty placing orders because they are unsure of which type of carbide cutting tool they need, confused between drill mills and the various types of end mills available to them. 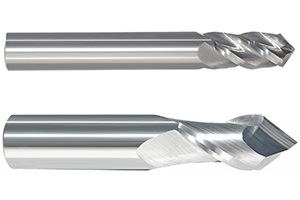 While both drill mills and end mills can be used for drilling, grooving, milling, spotting, and chamfering, there are a few differences between the two. All end mills have various overall lengths, flute lengths, and lengths of cut that will determine what the end mill is best equipped for, so it is important to know which type of end mill will be most effective for your use. End mills are typically better at chamfering operations and can also be used to make bigger holes or various different sizes of holes. End mills are used for lateral or horizontal radial and/or axial cutting. 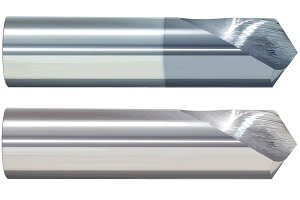 There are various end mill types, some of which are available on our site: standard end mills, variable end mills, end mills for aluminum, and 6FL end mills. We also carry chamfer mills. Similarly, there are several types of drill mills that have different overall lengths, flute lengths, and lengths of cut. Drill mills are typically thinner than most end mills and are mostly used to create smaller, steadier holes. Drill mills are also designed in a way that, unlike end mills, they can be directly inserted into materials, cutting axially. We have various drill mill types available on our site, ranging from two to four flutes lengths, sixty to ninety degree cuts drill points, and different finishes (bright, tilian, etc). If you have any questions or concerns about placing an order, please contact us at 630-238-1424 (from 8:00am to 5pm CST) or sales@onlinecarbide.com. Our site also features pictures and descriptions of products to ensure that you understand all product details. You can also place orders through phone or our website. We accept payment from PayPal, Visa, MasterCard, American Express, and Discover. We also have various options for shipping; combining items in one single order will have a lower shipping cost and orders over $250.00 will have free shipping. After placing an order, you will receive an email from us with details about your order and delivery information. If you would like to check the stock or availability of an item, please feel free to contact us. Buy with confidence, buy with Online Carbide. If you’re a professional, a worker, a skilled laborer who has spent their life learning their trade, you’ve no doubt come into contact with all kinds of tools of every make and model imaginable. Just like you, though, every tool has a story, and every part has a history. Part of becoming a true expert is getting to know which companies you can trust and where your money is going, and the best way to do that is to take your time and research each tool you buy. If you’re thinking about restocking your toolset, we think you should take the time to dig in to the brands you’re buying. With that idea in mind, here are a few reasons you should get in the know about drill bit manufacturers. There are two sides to the decision of choosing a tool brand to stock your toolbox with. The first is that you don’t want to work with someone who won’t provide you quality tools. The second side of the equation is that you want your money to go towards people who are doing the right thing. In our economy, who you pay for your tools matters. Making the choice to buy from professional, respectful, and honest drill bit manufacturers might seem like a small choice, but if you think about it deeply, you’ll realize that supporting businesses you believe in is the only way to make things better in the long run. Sometimes, that means moving away from a brand you’re immediately familiar with to a brand that’s more down-to-earth and real. There is a lot that goes into how companies decide on their pricing. The way we see it, you should never pay more for a product than it’s actually worth. Plenty of stores compete in pricing due to variable shipping, storage, and employee salary costs, but there are businesses that aren’t 100% transparent with their prices. The key is to look for the companies that clearly have workers in mind. Getting to know the drill bit manufacturers you’re considering means fostering a long and healthy business relationship in which you can rest easy knowing you’re paying fair prices. Companies change over the years, just like everything else in the world. If you’re connected and in the know with the companies you buy from, you’ll know how, when, and why they’re making changes to their products. Many companies greatly value the feedback they get from their customers, but those customers have to know about their products to give good feedback! Want an opportunity to learn about drill bit manufacturers today? Go visit Online Carbide. Simple, straightforward, and honest, Online Carbide is a company that’s all about supporting workers. See for yourself; they keep their website clean and simple so you don’t have to wade through bells and whistles to get to the meat of their products. If you have any questions, you can call their team and rest easy knowing you’ll be in professional hands. Carbide cutting tools outperform tools made from other materials. They just work better. Why? It’s simply a matter of chemistry. Carbide is produced from a blend of equal parts tungsten and carbide, with a bit of cobalt thrown in as a binder. It is also known as ‘cemented carbide’ because this composite material starts out as a powdered, chalk-like substance until it is heated, compressed, and, essentially, ’cemented’ together to achieve its full density. Carbide is hard. Common hardness values are in the range of 1600HV – that’s somewhere between diamond and sapphire. But in a bizarre contradiction of its core rigidity, carbide has a curious, almost flexible kind of durability. In the technical, scientific sense, carbide is a brittle material. But in practical, mechanical use, it’s incredibly strong. It is deeply resistant to heat, cold, oxidation, corrosion, impact, and friction. These are the kind of harsh conditions that can be produced by industrial machining. At Online Carbide, we understand and recognize the value of the natural resistance of carbide in manufacturing, fabrication, engineering, and more. That is the reason why we use it, exclusively, to produce our premium tools. Our carbide cutting tools are tough, durable, and built to last. They can do a variety of cutting jobs in seconds, precisely, with very little wear. They are perfect for cutting a wide range of materials on a variety of machines. Of course, there are other places to purchase carbide cutting tools. But we’re in the business of making business easier for our customers. The large manufacturers are everywhere, selling their wares at the highest price. We do what they can’t. When we make our product, we use the same tools, raw materials, and equipment as they do. It’s just that we don’t cost the big bucks. That’s because we’ve opted out of the big guy’s distribution network, to sell direct to the consumer. This customer friendly practice makes our tools less expensive, but there is never a compromise when it comes to quality. We use premium 10% cobalt micrograin material on our CNC grinders. We don’t resell cutting tools. We manufacturer them with pride and care right here in the United States. 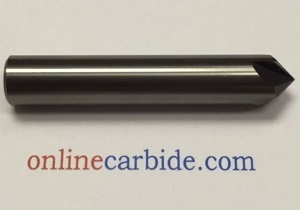 So, why choose Online Carbide? We deliver the premium carbide cutting tools our customers need. What’s more, Online Carbide is always trying to keep our inventory up to date, expanding our range to manufacture the latest in carbide cutting tools. Most importantly, our goal is to make the browsing, purchasing, and shipping process as stress free as possible. We typically ship items the same day, and orders of $250 or more ship free. We’ve been in business for years and we’re only getting better. Fast, friendly, and convenient, we help our customers work cheaper, easier, safer, and smarter. Trust Online Carbide… we’re the cutting experts! From carbide end mills to drills, we’ve got it covered. Contact us today! There are a staggering number of online retailers and wholesalers committed to selling bits and other parts for milling steel, aluminum, masonry, tile, wood, and even more surfaces. With so much to choose from, it can be difficult sifting through the imposing selection of choices in what can seem, at times, like a commodity market. When looking for end mills for aluminum, there can be no other choice of seller than Online Carbide. 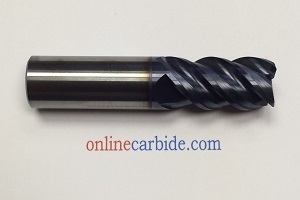 This is because Online Carbide, unlike so many other resellers, manufactures their own end mills and is directly responsible for their own quality control and pricing. Online Carbide has made a name for itself as a direct provider of American-made carbide mills and drills that deliver optimum performance on that job, while at the same time providing affordable prices that the competition can’t match. Carbide is a mixture of carbon and a metal, in this case cobalt, which is much harder than the metal would be on its own. The metal provides the strength and the carbon forms a chemical structure that stabilizes and hardens the metal. The result is that carbide end mills are superior in performance in milling certain hard materials such as stone or metals like aluminum when used on the proper equipment. Conventional bits lack the hardness necessary to effectively mill hard materials and will dull quickly, whereas carbide bits will stay sharper many times longer. For precision milling jobs on hard materials such as tile or aluminum, a carbide end mill is irreplaceable for its resilience and edge retention. Online Carbide is rare in that it manufactures its own products. Much of the competition is in the business of resale and the manufacturers that do sell directly are interested in protecting the business of their resellers by elevating their prices to prevent cannibalism. Because Online Carbide sells directly to the businesses and consumers in need of their mills and drills, you can be sure none of this protective pricing applies. When you need to mill some aluminum, you can trust the prices at Online Carbide and truly they may defy your expectations. You can also trust the product because Online Carbide makes it all in-house and is in the driver’s seat of quality control. You might think it doesn’t get better than this, but it does, because Online Carbide’s inventory is all manufactured right here in the good old United States of America. You get impressively low prices, direct correspondence with a manufacturer, and reputable carbide equipment manufactured to the same specifications as other industry leaders. When you need to stock up on high performance end mills for aluminum, head straight to OnlineCarbide.com and start saving!